When you see a Nathan’s hot dog vendor on the beach and groups of men going crazy when the New York Giants make a three-yard gain, you could be forgiven for thinking you’re in New York, albeit a much warmer version. Indeed it is Americans from the east coast fleeing winter that make Aruba the most touristed of the ABCs. And that’s not really surprising given that it has miles of the best beaches, plenty of package resorts and a compact and cute main town, Oranjestad, which is ideally suited for the two-hour strolls favored by day-tripping cruise-ship passengers. It’s all about sun, fun and spending money (lots of money – it’s an expensive island). But venture away from the resorts and you’ll find that Aruba offers more. At the island’s extreme ends are rugged, windswept vistas and uncrowded beaches. Arikok National Wildlife Park is an alien landscape of cactuses, twisted divi-divi trees and abandoned gold mines. As a ‘free zone’, duty on most items in Aruba is so low that shopping here can have obvious advantages. Stores carry goods from all parts of the world and there are some excellent buys, including perfume, linens, jewelry, watches, cameras, crystal, china and other luxury items plus a range of locally made handicrafts. Aloe grows in abundance on Aruba, andskin care products are manufactured locally. On Aruba, the abundance, full flavor and diversity of cuisines prepared by world-class chefs; fine international wines; casual, elegant and creative ambiances, and attentive service combine to create very special dining experiences. The high-rise strip is now home to over 100 resort and independent restaurants. This bustling area is dotted with an eclectic patchwork of shops, malls, cafés and restaurants. But do venture downtown and off the beaten path to discover local favorites and trendy new establishments. No matter where you go, you will find an eclectic menu of delicious ethnic and international fare. Aruba’s popularity means that hotels are usually booked solid during the high season from mid-December through mid-April or early May, so early booking is essential. During other times of the year, rate reductions can be dramatic. Aruba doesn’t really have a rainy season and rarely sees a hurricane, so you take fewer chances by coming here in late summer and fall. However, if you travel at this time, just remember that hurricanes and tropical storms are not unheard of—just rare. February or March witnesses a spectacular Carnival, a riot of color whirling to the tunes of steel bands and culminating in the Grand Parade, where some of the floats rival the extravagance of those in the Big Easy’s Mardi Gras. With visibility of up to 90 feet, the waters around Aruba are excellent for snorkeling and diving. 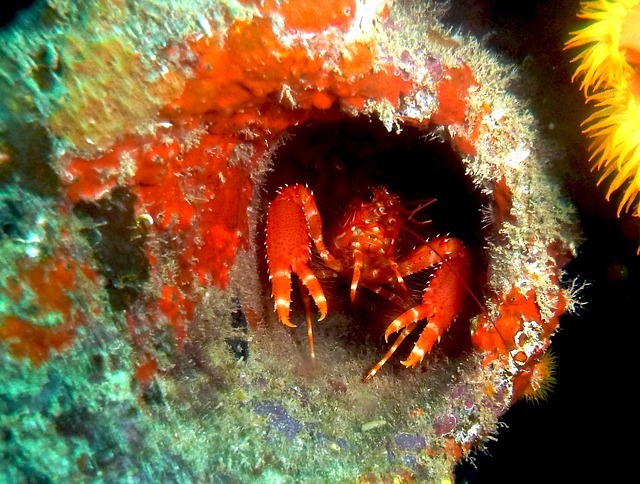 Advanced and novice divers alike will find plenty to occupy their time, as many of the most popular sites—including some interesting shipwrecks—are found in shallow waters ranging from 30 to 60 feet. Coral reefs covered with sensuously waving sea fans and eerie giant sponge tubes attract a colorful menagerie of sea life, including gliding manta rays, curious sea turtles, shy octopuses, and fish from grunts to groupers. Marine preservation is a priority on Aruba, and regulations by the Conference on International Trade in Endangered Species make it unlawful to remove coral, conch, and other marine life from the water. Expect snorkel gear to rent for about $15 per day and trips to cost around $40. Scuba rates are around $50 for a one-tank reef or wreck dive, $65 for a two-tank dive, and $45 for a night dive. Resort courses, which offer an introduction to scuba diving, average $65 to $70. If you want to go all the way, complete open-water certification costs around $350. Surrounding Mt. Arikok near the center of the island is a natural preserve which features some of the oldest Arawak drawings, as well as trails that showcase Aruba’s great variety of plants and animals like the divi-divi and kwihi trees, rare and exotic cacti, aloe, tropical flowers, birds and iguanas. There’s also an old Aruban “cunucu” house, “cas ditorta,” made of mud and grass. Together with the Coastal Protection Zone, Arikok National Park encompasses 25 percent of the island. The remains of a gold smelter that was built of natural stone in 1825 and functioned for most of the 19th century. The ruins, mainly crumbling walls and graffiti, are interesting for their historical value, but the site has no guides or explanatory material. It’s said that the smelter, in it’s 90 years of operation, produced some three million pounds of gold. The Natural Pool or “conchi” called “Cura di Tortuga” is a secret, hidden pool on the windward coast surrounded by rocks and is a perfect getaway for a moment of total relaxation. Here you can see Arawak petroglyphs. The name is is also of Arawak origin. This isn’t the only place on the island where the Arawaks drew their likenesses of people and fish and other objects, but it is the most accessible. The caves, located high in the wall of a limestone cliff, house many deep passages. The first two chambers, about as far as you can go, are damp and dark, filled with bat guano and dripping stones and graffiti along with the petroglyphs. With an average temperature of 82°F (28°C) Aruba is kept relatively cool by the constant trade winds. The peak tourist season is between mid-December and mid-April, and if you can visit outside this period you can expect room rates to be almost halved. Rainfall is infrequent, but likely to occur between October and January, if at all. The beaches of Aruba are widely considered to be among the cleanest, widest, and most spectacular in the Caribbean region. An Aruba beach typically consists of powder-fine, white-sand, perfect for soaking up the Caribbean sun. 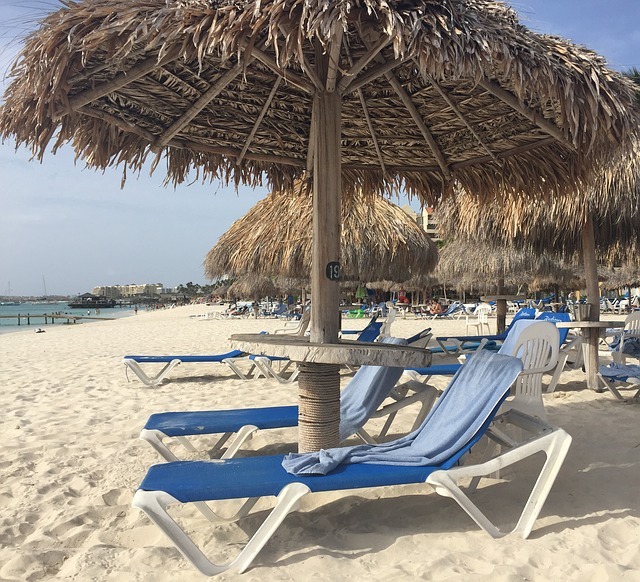 All you need is plenty of suntan lotion and a refreshing cocktail, both of which are not hard to come by on Aruba! Famous Aruba beaches include Eagle Beach which has been singled out as the number one Caribbean beach in a USA Todaysurvey of travel writers, travel agents and frequent travelers; and Palm Beach, set against a backdrop of Aruba’s leading resorts, was voted best family-friendly beach in the world by The Travel Channel and by Condé Nast Traveler as one of the best beaches in the world. Beaches in Aruba are easily accessible. Several access and parking renovations are underway for favorite spots such as Arashi Beach on northwestern part of the island and Baby Beach on the southeastern side. Since January 2007, U.S. citizens are required to have a valid passport to travel to Canada, Mexico, and various parts of the Caribbean. The specific requirements are subject to change – for the latest information check the Department of State website.